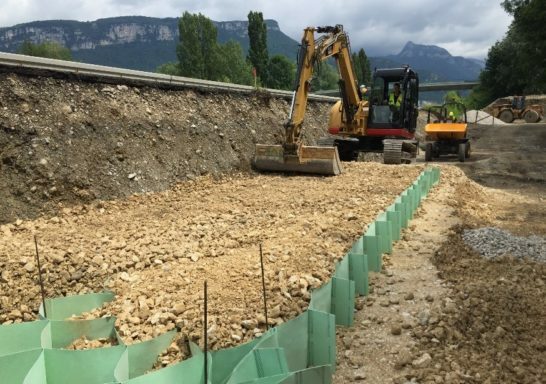 The project concerns the construction of a motorway shelter along the A48 near SAINT-JEAN DE MOIRANS (38). 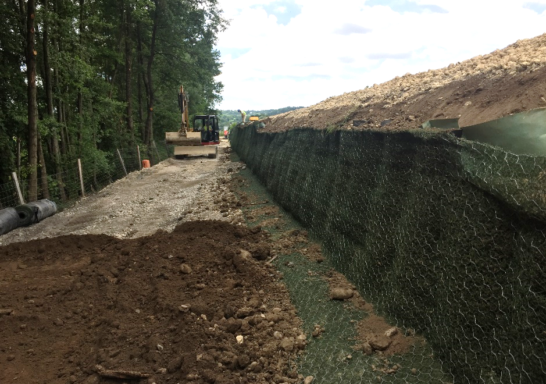 The retaining structure is located between an old highway embankment (with low mechanical properties) and the flow of a downstream watercourse. 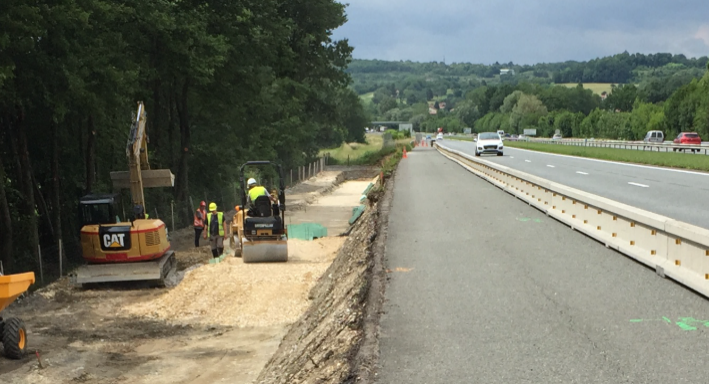 The structure was backfilled with a 0/63 gravel infill. The latter is based on soil with very low load-bearing capacity and requires sizing under a mandatory combination of seismic actions. Additional measures of this bearing capacity at the right of the structure were therefore carried out by Sol Solution before any work was started, in order to ensure that the assumptions made in the G3 dimensioning mission were respected. On the front side, a vegetalisable structure was stapled directly to the front of the M3S® honeycomb sheets forming the reinforced soil support.